This entry was posted on September 18, 2016 by Fairly Inarticualte Tim Bernard. The US Forest Service has published the Elk City Wagon Road PDF and we have it available to download at the bottom of the post. 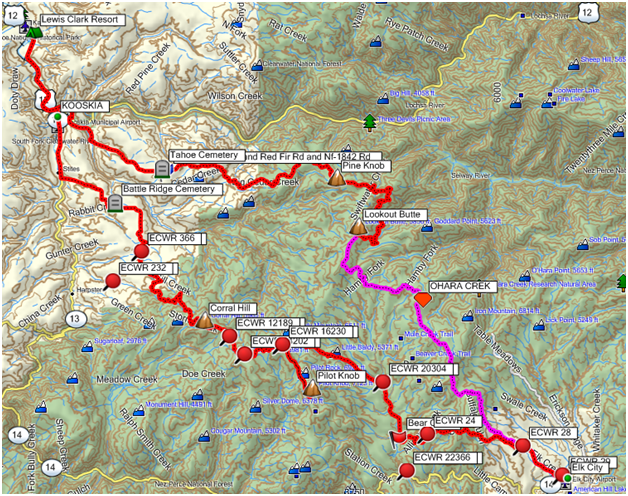 The "ECWR" Waypoints correspond with the PDF. 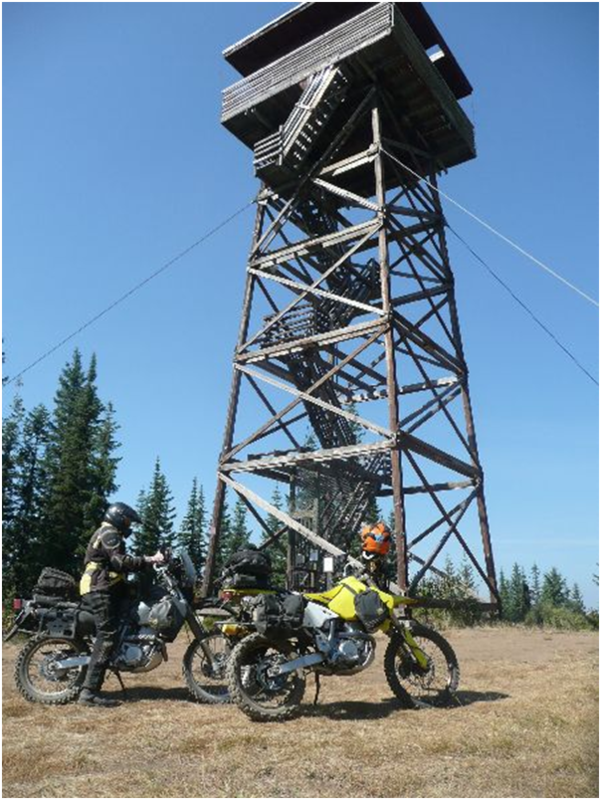 Corral Hill Lookout is about a 1/4 mile off of the Elk City Wagon Road. 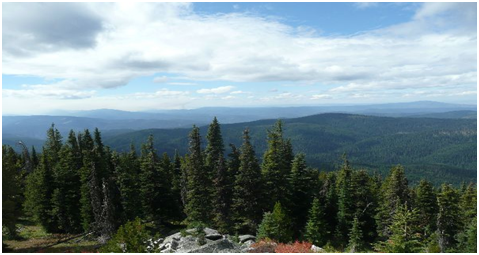 The Nez Perce Forest has an informative PDF Lookout Styles Nez Perce National Forest that gives the different styles of lookouts. 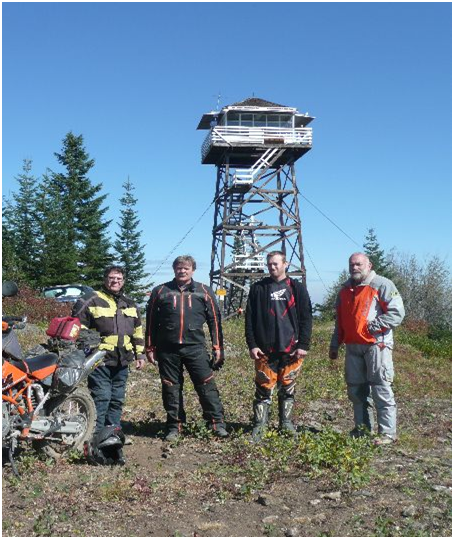 Pilot Knob Lookout has a primitive road for access a 4WD or or an Adventure Bike with a competent rider is recommended. 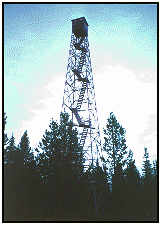 It is approximately 4 miles to the lookout. 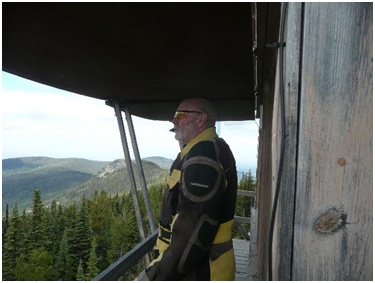 The lookout offers a great view of the surrounding area. I guess that is why they built it there. Sort of like the lady that wanted the “Deer Crossings” moved! After Newsome the Wagon Road and the improved road separate. The Elk City Wagon Road at this point is now an ATV Trail. 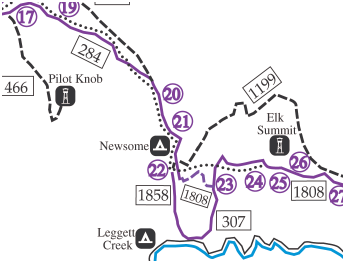 This is between MM 22 & 23 on the ECWR PDF, the waypoint is Bear Creek. 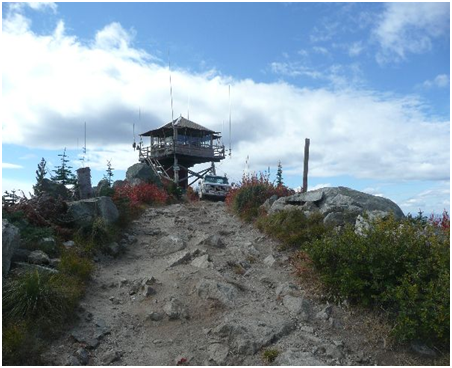 As I was researching for this post I discovered the Elk Summit Lookout. Grab lunch in Elk City and fuel if you need it The return from Elk City goes via Lookout Butte. Lookout-Butte-Lookout is a rental unit that goes for $40.00 a night. Average speed could be about 25 MPH and add several hours for stops. So plan a full day. Check out the GPX file below. 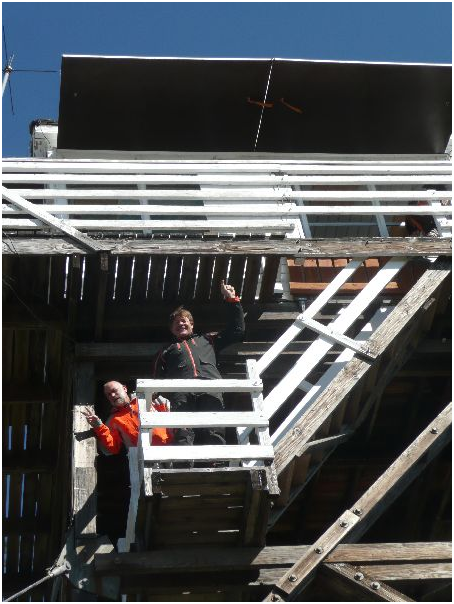 Checkout PDF of the Elk City Wagon road below.